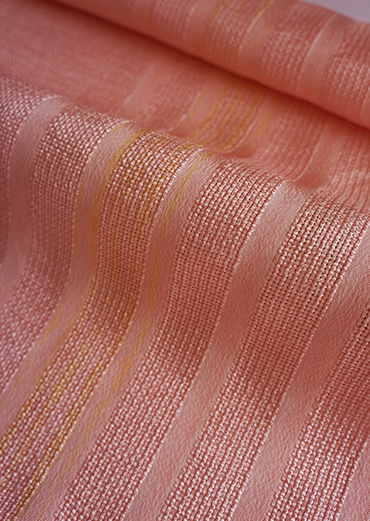 Our scarves are from a Japanese traditional weaver of Kimono accessories of Kyoto, Japan. 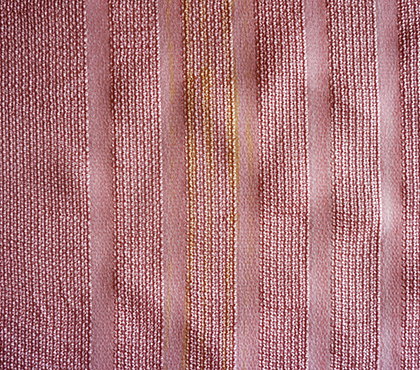 The north of Kyoto is famous for high quality silk fabric which is plainly woven and created with a special dying technique that has a history of more than 250 years. 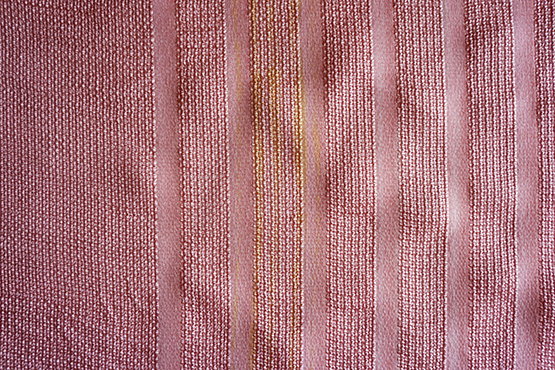 It is also renowned for Chirimen (crape) material. 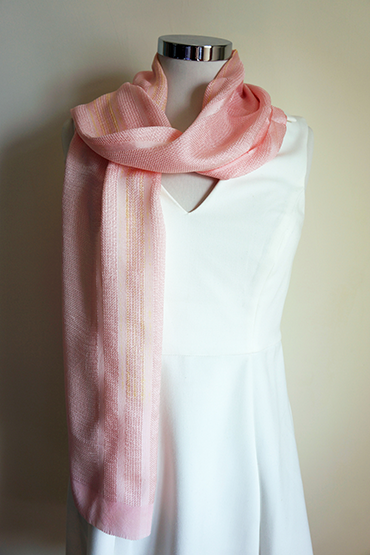 These scarves are woven in the same way as a Kimono using Japanese traditional methods. The scarves are actually used when wearing a Kimono as an accessory with the Obi (a wide sash to bind a Kimono) and it is shown a little above the Obi. 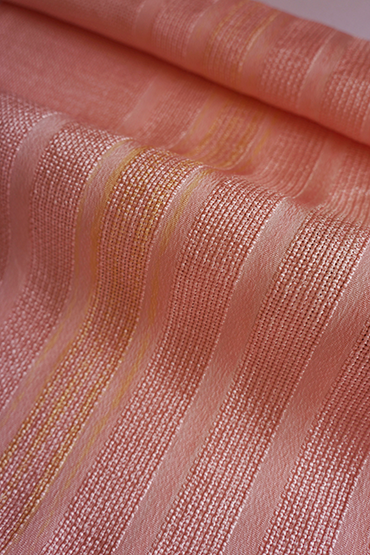 This scarf features beautiful texture woven in ‘Gishya’ method for a soft touch and transparent look. 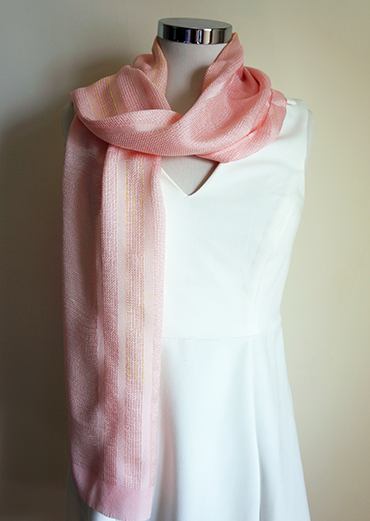 You can read more about our silk scarves and Kimono basics from here. 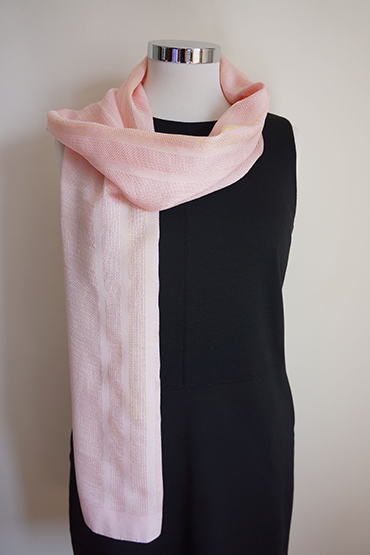 Silk scarf pink with a touch of gold and stripes. For the care, we recommend dry cleaning. Click here for more info. We are based in Malta and we ship our products to major European countries, USA and Canada with a registered mail. Malta & Gozo: Free shipping. Other European countries, USA and Canada: approx. 6 euros when purchasing one of silk scarves. You will find the exact amount when check out. Copyright � 2016 - All Rights Reserved.